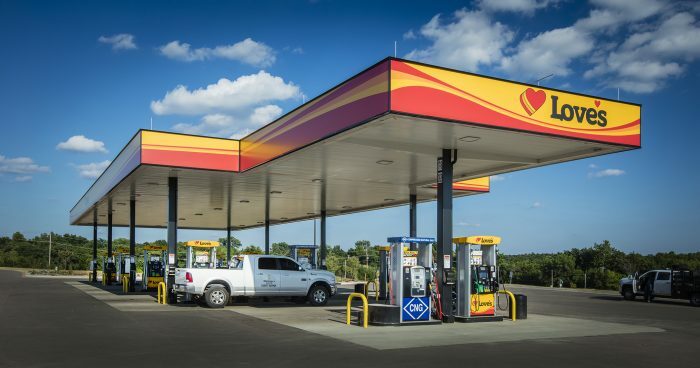 Wallace Engineering provided structural engineering services for new convenience stores and foundation design for metal building truck tire care shops. The stores range in size from 8,200-13,400 square feet and the metal building truck tire care shops are 7,800 square feet in size. The convenience stores are constructed with light gauge stud walls, joists, steel beam girders and steel tube frames. Exterior finishes vary from store to store but include EIFS, Brick and Stone Veneer. The food tenants vary from store to store but have included McDonald’s, Wendy’s, Carl Jr.s, Subway and Chester’s Chicken.